This is despite the fact that the latest encryption and security measures mean that transactions carried out electronically are just as safe as offline transactions, in not safer. Let’s be honest, using virtually any legitimate online payment gateway is safer than reading a credit card number out over the phone. As you’d expect, this ‘trust gap’ is more prevalent amongst people in older age groups, but it’s not exclusive to that demographic by any means. When trust is fragile to begin with, it doesn’t take much further erosion before the perceived risk becomes too great to consider. Significant focus is placed on the user experience (UX) and interface (UI) during the product development process, and it’s not unusual to find a team of copywriters crafting carefully worded copy for use in a broad range of areas — from the UI to marketing and much in-between. So why then, when it comes to launching in a non-English speaking country do so many organisations fail to localise their products properly, opting for the most basic translation solution they can find? For a new customer, flirting with the idea of choosing one of the new wave of challenger banks, payment apps or insurtech businesses, nothing is likely to kill their enthusiasm faster than the sight of a UI that was clearly never built with their location and culture in mind. Wavering trust is not enhanced by distorted dialogue boxes, poorly translated marketing materials and cultural references that have no relevance in the user’s country. If those sorts of errors have crept through to the user, it doesn’t inspire confidence that appropriate compliance and security measures are in place to protect their transactions, whether they are or not. It’s not just older users whose fragile trust needs to be won. We know that millennials are the group most likely to embrace fintech solutions, but they’re also amongst the most demanding consumers in the market. They’re used to using highly polished and well localised apps and online services every day, and will opt for the best user experience every time. They can spot a rogue translation or poorly localised graphic from a mile away. Take a look at the gaming community if you have any doubts about the sensitivity of millennials to anything but the very best localisation. Whilst I’ve focused heavily on consumer fintech solutions, the same principles apply on a business to business basis too. Early buyer due diligence might weed out those fintech providers with an clear lack of commitment to localisation, but it’s during the implementation of complex back-end solutions that less obvious cracks will show. Whilst execs may have concluded the deal in perfect English, the local technician charged with setting it up won’t become an ambassador for your brand if the technical documents and support provided aren’t fully localised for the install country. Cutting corners is a false economy when it comes to localisation. 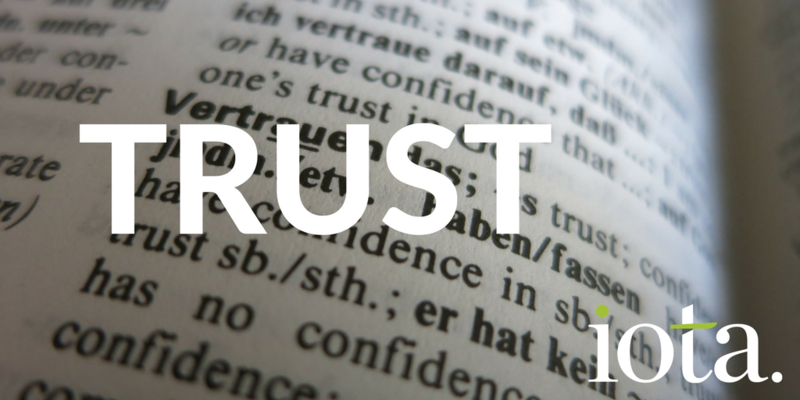 In fintech, trust is everything — and that’s something that can’t be bought.